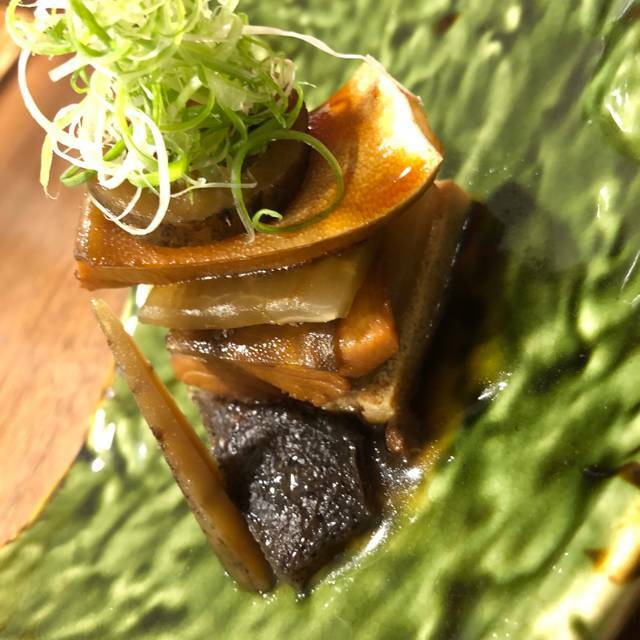 In keeping with Japanese tradition, Yukashi considers the various flavours and aromas of seasonal vegetables when deciding what will make it onto our customers 'plates, and tickle their palates. Whether with our delicious main dishes, or our exciting saké / appetizer pairings, customers will find that locally-grown ingredients complement carefully chosen ingredients from Japan to make an authentic Japanese experience with a subtle Canadian twist. Excellent food!!! Excellent service!! Gem in Toronto! Not to miss! Absolutely amazing food, and nice staff! A must try if you like Japanese food!!! Delicious food. I am so happy to have this restaurant in the neighbourhood. We had the 9 course meal and each course was creative and delicious. What a treat! Be prepared, it will take your about 2.5 hours to finish the meal. A unique experience. A must try. I ordered the 4 piece meal omakase and was given two extra dishes on the house. Excellent service, excellent cooking, and very awesome and friendly staff! good taste！i like this feeling. Kaiseki in Toronto doesn’t get any better than this. Chef Daisuke knocks it out of the park every time. His culinary creations are not to be missed. Fantastic authentic Japanese cuisine by a prestigious chef. It’s hard to find this level of high quality Japanese cuisine outside of Japan. Had an outstanding night at Yukashi. The chef made it personal and fun! Every course was presented beautifully and he took time to explain what was presented. Chef Daisuke's took time after the course to converse with his diners personally and we learned quite a bit. Definitely worth going! 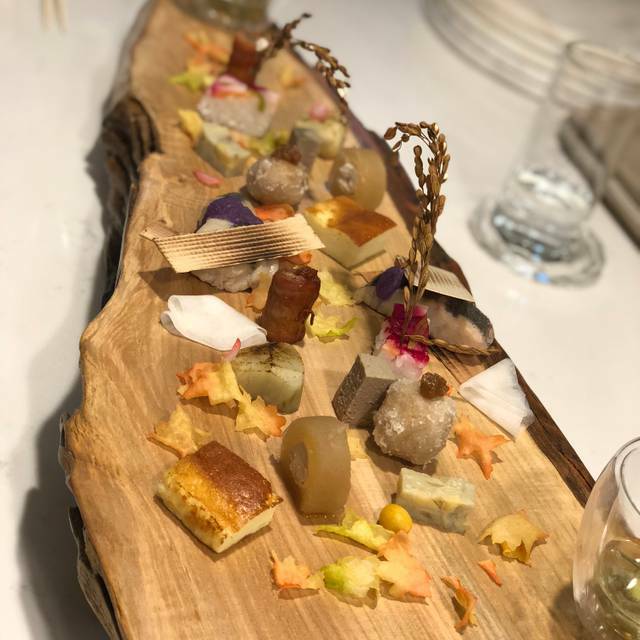 Every course was presented beautifully and has mind-blowing flavour locked into every bite. Being able to watch the chef prepare the meals was also a nice treat. Fantastic food, creative presentation, seamless service and intimate ambiance under a watchful eye of a Master Chef. What else can one ask for a special celebration?! Sheer artistry! Not your typical Japanese fare. So much more! Service was great, food hmm i didn’t like it too much but it was good and fresh. l rate 4 stars for the price cuz i was expecting more. Overall everything was excellent. My boyfriend was pleasantly surprised. We felt like we had a personal experience and got to interact a lot with the chef. Great sake selection and the presentation of food was spectacular. The first few dishes were nice, but all soups were too salty. I told the waitress that the soup was too salty and next dishes please add less salt. However, the coming soup was still way to salty which I cannot eat it! Super friendly staff and beautiful delicious food. Chef Daisuke's attention to detail made this extra special for our occasion. The presentation was beyond incredible. Choice of composition of ingredients was also very unique. Blending of both Kaiseki and omakase experience. Without a doubt the best Japanese food in the city! Every dish is a visual pleasure and every mouthful is a taste and texture sensation. We chose the four course menu which we found filling, although there is a 9 course too. The Sake we had was outstanding, chilled, sweet and aromatic. Every course is a surprise, the chef chooses, which we loved each sublime surprise that arrived. They also have a small a la carte menu, the Wague, sea urchin and fois grois is a must have dish. A smalll quaint restaurant with unassuming decor with the most outstanding food in the city - what a find....! Thank you....! Lovely restaurant! The chef and the staffs are very friendly giving you asuper warm feeling. The cuisines are delicious, they use the best seasonal ingredients straight from japan, with the extremely artistic plating style. Cozy and comforting atmosphere. Creative and flavourful dishes. Down to earth Chef with friendly staff. Great experience at the Chef's table for 9 course tasting menu. Innovative menu with authentic Japanese ingredients coupled with local Ontario produce. Clean zen vibe. Small restaurant which is especially nice when less crowded. Love the open concept restaurant, it's beautifully lit and tastefully decorated with Japanese art. The staff of four work very hard to ensure food is served at a nice relaxing pace. 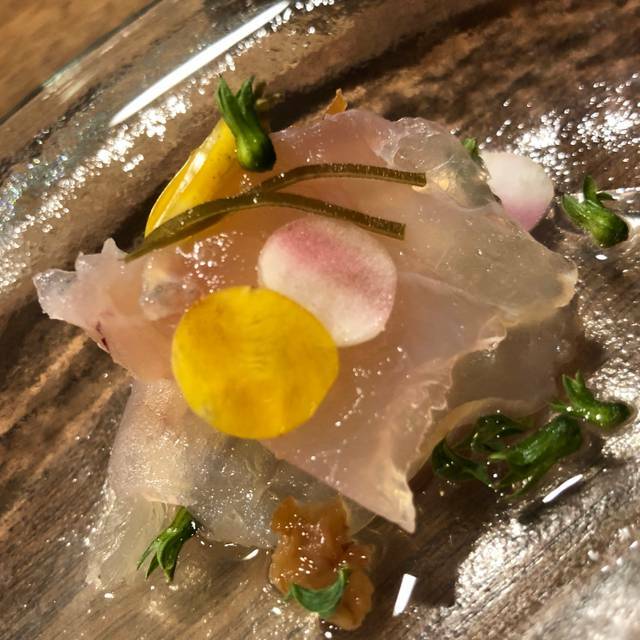 The star of the show is of course the innovatively presented yet very authentic Japanese food served on an interesting variety of plates, and arranged artfully with a lot of thought. Don't except a strictly sushi-only dinner, there's a good variety of meat and vegetables as well. Everything was top-notch, fresh, beautifully prepared and tasted delicious. It's the perfect spot for dinner with a small group of four (the place is very small), or with a dining companion who will appreciate the care behind prepared food as well as being open to trying new flavours which vary according to the seasons in Japan. 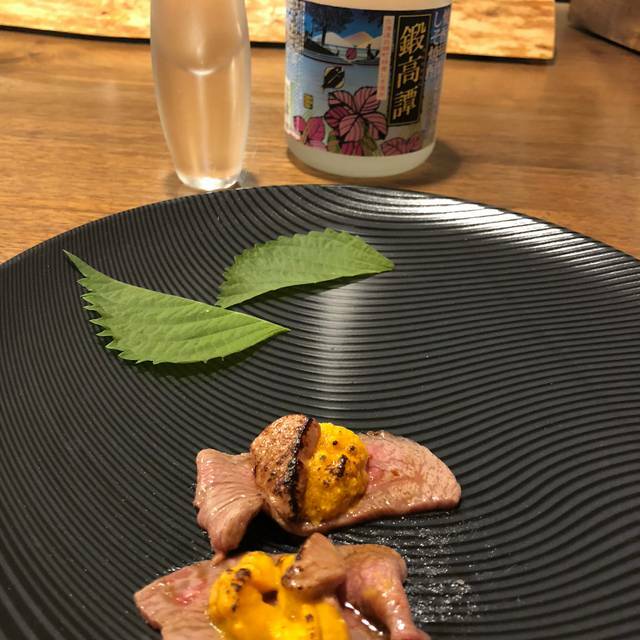 Definitely a great new addition to the authentic Japanese eateries in the city, the price is spot on for the amount of food included in the 9-course omakase. At $150 per person it won't break the bank, but you will definately be enjoying a great, memorable meal for the price. 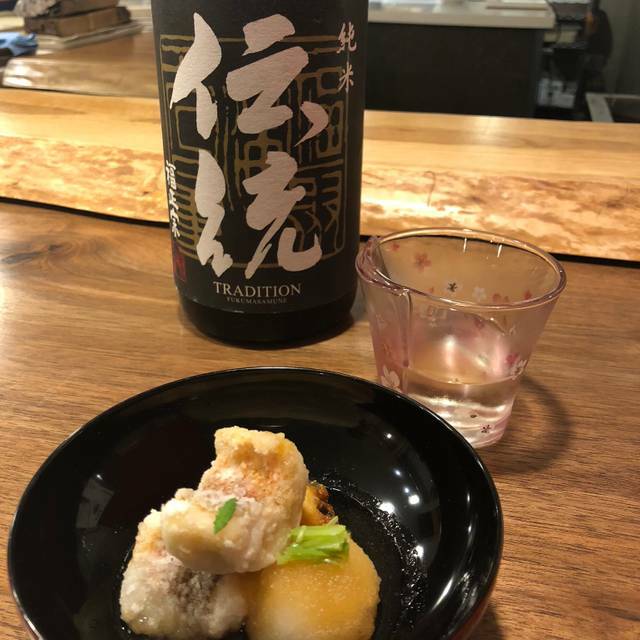 I'd highly recommend the additional $60 sake pairing, if you are so inclined, but there of course is small selection of other alcohol if you wish to try something else. 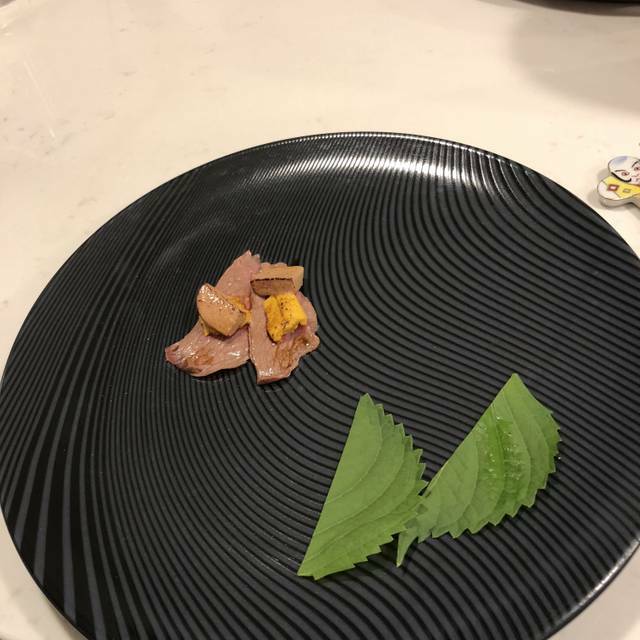 Would love to go back and try the Yukashi omakase option priced at $300 per person, but I was full (I'm not a huge eater) by the 6th course of the 9-course menu so that might be a bit of an overkill for me quantity-wise. You can always order extras from the A la carte menu, of course, if you find yourself hungry. Extremely well sourced, creatively presented original Japanese foods, beyond the usual sushi restaurant. A real Japanese experience!!!! The 9-course tasting menu was a great experience. Each dish was delicious and carefully thought out. My personal favorite was the signature wagyu dish. The flavors of each ingredient in the dishes were nicely orchestrated. I will definitely come back again, especially since their tasting menu changes seasonally. I can’t wait to see what delectable surprises come next. A huge surprise. Great food, great place and most important, great chef. 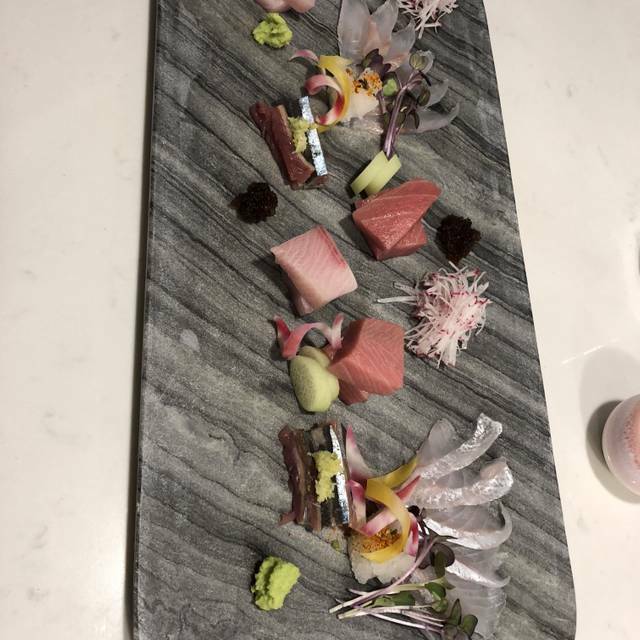 Wonderful omakase experience! Amazing chef and food but service needs to more polished. A true Japanese delight. Ingredients were very fresh and VERY creatively prepared and presented. Take some time to enjoy the food, the ambiance and the chef! 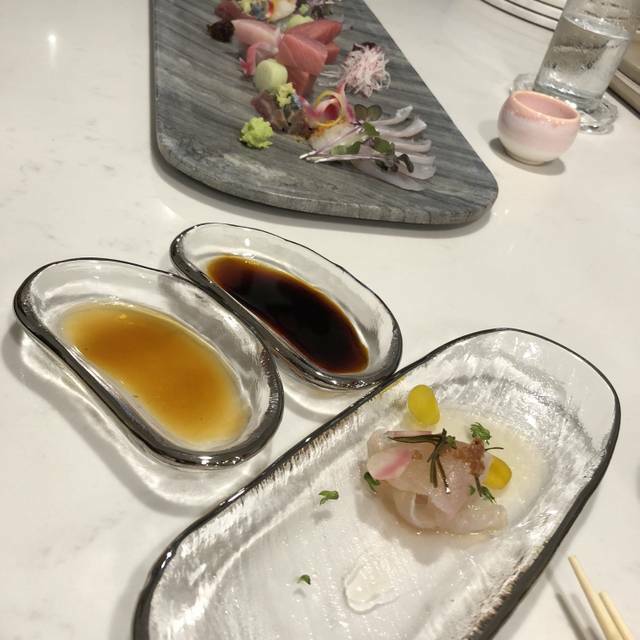 We had the 9-course omakase with sake pairing and it was amazing. Each dish was skillfully and carefully prepared. There was so much attention to detail in the dishes. They were presented beautifully and were very delicious. The sake pairing was excellent; each glass was matched nicely with the flavors in each dish. The menu changes seasonally, so I can’t wait to go back to again. Try to get a seat at the counter to watch the chefs in action. The food is authentic Japanese - no sushi here. Full tasting menu that is Chef’s choice for the day. His wagu beef is of the best quality and melt in your mouth. You will find authentic wasabi root with your sashimi, which is not found easily outside Japan. Everything was phenomenal and extremely well paired with sake (optional). His detail and care is evident in each dish. Chef Izutsu is a true artist. Not recommended for those that don’t appreciate a tasting menu (portions) and aren’t prepared to shell out some dough. Authentic Japanese kaiseki experience in an unassuming Mt. Pleasant strip. The chef focuses on delicate flavours and presentation, reminding me of many of the meals I had in Japan. Very new restaurant, but a lot of thoughts go into the dishes. 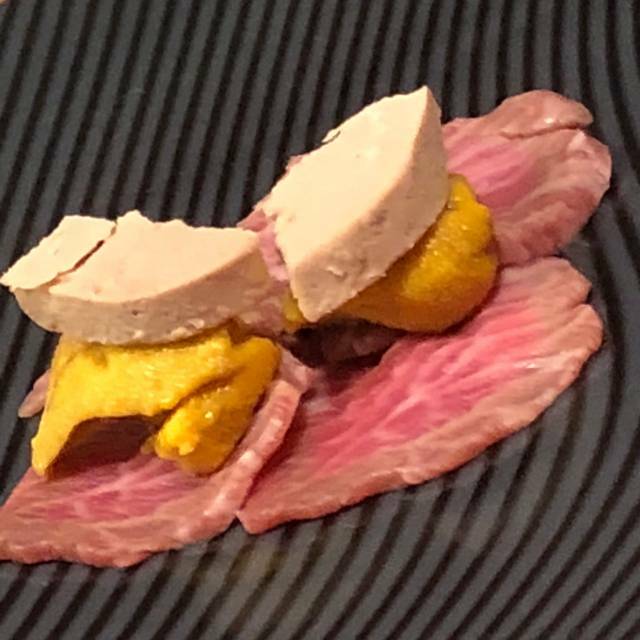 Wagyu with uni/foiegras was my favorite. The sake pairing is great value, 60 dollar and got me kinda drunk. Tasted a lot of different sakes that pair with dishes really well. Every single piece of food was fresh. You could see the thought and care that went into every dish and it was reflected in the taste. Absolutely phenomenal.